When people think of grappling dummies, people automatically turn their noses up at the idea, however when it comes to solo drills at home, there is no better substitute. The Ring 2 Cage Grappling Dummy is a great dummy for Brazilian Jiu-Jitsu and Judo practitioners looking to improve their ground game. So much attention to detail has been put into this grappling dummy that when making it, the designers tried to incorporate nearly every aspect of how fighters train and put that into a dummy that is not only durable be realistic. The Ring 2 Cage Grappling Dummy is stiff enough to provide realistic resistance to a submission how but enough flexibility to allow multiple movement drills. The Ring 2 Cage Grappling dummy is a kneeling dummy, so while it is not great for throwing or striking, this makes it the perfect dummy to practice your guard work on. The Bubba II Grappling Dummy can be used either as a submission dummy or as a throwing dummy, making this the most versatile dummies on the list. The versatility of this dummy makes is the perfect grappling partners for anyone who is training MMA. The limbs are made to allow just the right amount of resistance for a training partner and the joints are designed to move in one direction, just like a humans. This grappling dummy also comes with a 1 year warranty and is extremely resistant to any wear and tear a fighter throws at it. The Century MMA dummy is extremely durable, constructed excellently and will last you a very long time. When it comes to simulating a grappling match, it does an excellent job. The Century has an added target to the head to help MMA fighters practice their ground and pound. A big different between this and other grappling dummies is that the Century dummy is able to stay in a locked position, which allows the fighter to mould it into any training position that they want to train. The Combat Sports Grappling Dummy, is one of the best looking dummies in our reviews, and one of the best looking dummies on the market period. The Combat Sports Dummy is made from a durable form of polyester and that is then covered in vinyl, which makes it an incredibly durable grappling dummy this is going to withstand a lot of punishment. This grappling dummy is multi dimensional dummy, that allows for grappling, submissions, throws and strikes, so this is a great all rounder. Weighing at either 70lbs or 100lbs, the Title Wrestling Dummy does a great job of replicating human movement during a roll. If you’ve ever watched the film Foxcatcher, this is very similar to the grappling dummy Mark Shultz uses to practice his takedowns at the beginning of the film. Title are known in the industry for making extremely tough and durable products, so you know that when you buy this product you’re going to get a good workout. Overall if you’re looking for a great grappling dummy, all of these would suffice any fighter and would help them drilling their techniques. But if we were to choose one, we would choose the Bubba II for it’s more realistic stylings and limb manipulation. A grappling dummy is a human-shaped training device that can help professional and amateur fighters hone their skills without hurting their training partner. The bust kind of grappling dummies serve as a real-life substitute for the human body. Grappling dummies are great for solo drills for wrestlers such as suplexes and take downs for judo and jiu-jitsu practitioners. There are many different types of grappling dummies available for fighters, each with their own design that will help with a particular style of grappling. Some dummies are primarily used for submission practice, while others can be used for throwing or striking. All Grappling dummies serve a real purpose when helping a fighter hone their technique. There are two kinds of dummies available for fighters to use and it is important to know what tool will be right for the job. Throwing and striking dummies are great for practicing hard tack downs that would normally injure an an training partner. They also serve a great substitute for fighters looking to practices their ground and pound without hurting another fighter. Throwing and striking dummies often have ridged limbs and fixed standing stances that make it hard to put in submission positions. Grappling and Submission dummies are used for fighters looking to drill particular submissions from the guard, side control, mount and more. These dummies are normally lighter in weight so don’t translate as well into take downs as other grappling dummies. When looking for a grappling dummy a submission-style dummy will work well for a lot of fighters. Obviously their dummies use will depend of the individual fighter’s needs, so make sure the fighter knows what they want to be drilling before looking and making a purchase. Submission style dummies offer more versatility in the long run due to their flexible limbs. This is one of the most important aspects of choosing a wrestling dummy, but it is probably one of the most tricky aspects. a dummy with stiff limbs are great for take downs and strikes, but difficult if you’re looking for submission. A flexible MMA dummy’s limbs will return to their original position on the submission has been released offering a more natural sparring partner. A flexible grappling dummy should be able to be moulded into any position the fighter requires, so if they are practicing guard, they should be able to set the dummy into a kneeling position, while still retaining natural limb structure to ensure good training. A well-made grappling dummy should be made of materials that will withstand a frequent beating. Stitch areas should be reinforced in all the right spots. For example an jiu-jitsu dummy should be reinforced in all the joint areas, otherwise a fighter might tear off a limb with little force. A well made dummy should be able to last years not weeks. The weight of the dummy is probably one of the most important aspects of choosing a dummy that suits you. If you’re looking for a takedown dummy, make sure if is a sufficient weight that will allow you to drill your techniques properly. The dummy should be heavy enough that it is an effort to move, but light enough that it will not injure the fighter due to over training. Often or not you are able to fill a dummy to make it heavier or lighter, so check with the manufacture before buying. In addition to weight, height is an incredibly important factor to consider when choosing the right grappling dummy. A suitable grappling dummy should be nearly the same height as a fight, making it’s handling much easier and more realistic. 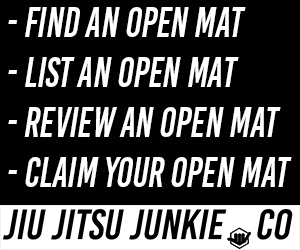 This is the most important aspect for Judo and Jiu-Jitsu fighters, the ability to wear a gi is one of the most important things for these practitioners. The ability to wear a gi will increase the realiser for the fighting experience and will also allow the fighters to increase their range of moves.